Memorial services are scheduled for 2 p.m. Friday, Aug. 4, at Terpening & Son Chapel for Linda (Price) Bartlett of Artesia. 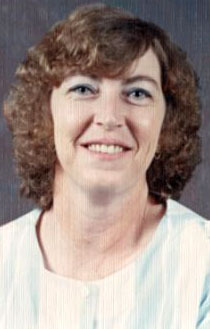 Bartlett, 66, passed away Monday, July 31, 2017, at her home. Paul Hollingsworth will officiate the services. Cremation has taken place under the direction of Terpening & Son Mortuary. Linda was born Nov. 1, 1950, in Roswell, the daughter of Henry and Charlotte (Simpson) Price. On Sept. 20, 1968, she married Ronny Bartlett in Roswell, and the couple came to Artesia in 1969. Linda was a supervisor at J.S. Ward & Son. She enjoyed crocheting, reading, cooking, genealogy, camping, water skiing, and working in her yard. Survivors include her husband, Ronny, of Artesia; son Chad Bartlett of Artesia; brother Johnny Price and wife Sherron of Roswell; sisters Trudy Price of Artesia and Wanda Price of Tenino, Wash.; granddaughter Rebekah Bartlett; and three step-grandchildren.